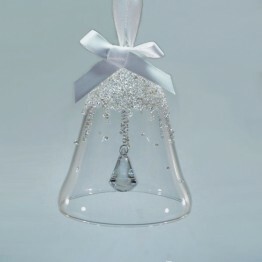 This christmas bell ornament is part of the Christmas Bells Collection, and is the second of the annual editions. 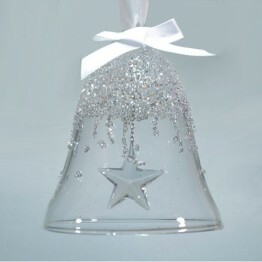 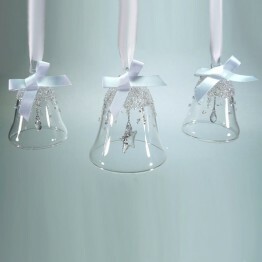 The christmas bell ornament is made of clear crystal, with a star in Crystal Moonlight on the inside. 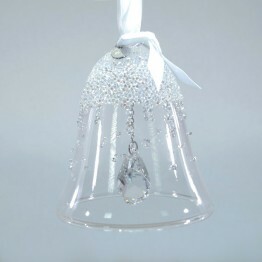 The bell is decorated with hundreds of little crystals on the outside. 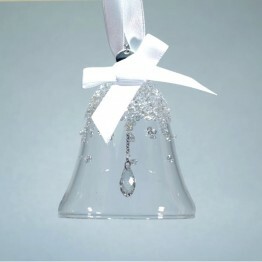 It hangs on a white satin ribbon, with a silver-tone metal tag showing the year of issue.